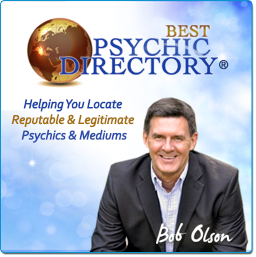 Bob Olson: Do you believe that we can use meditation as a method for spirit communication? Trish Whynot, D.C. Ed. : Absolutely, meditation is an awesome vehicle for communicating with Spirit in any form. Bob: I'm going to ask you later exactly how to meditate, but for now, can you explain how meditation works so that it is possible to communicate with spirits? Trish: I use the term meditation loosely. The components of meditation have to do with quieting your mind, being grounded in the moment, connecting with your inner guidance, stating your intention and asking for help. It should be done in a way you find pleasurable. In meditation we enter a space where we can interact with others for a sacred purpose. Bob: Can anyone do this, or must one have some special gift, talent or ability? Trish: Anyone can meditate. My feeling is that we don’t have time not to meditate. The higher parts of us can see our lives with clarity and the lower parts of us can be fearful. They all must be integrated for us to be whole. People spend a lot of unnecessary time unconsciously either pushing their fearful parts away or giving them decision-making authority. Giving their higher parts authority and comforting their fearful parts would enable them to move forward more quickly, consciously, and cleanly. In acknowledging and validating the parts of our self, we are able to move forward more whole. In pushing our emotions away, we push the parts of our self that hold the emotion out of the way to move forward, and in the process we become fragmented. This is where the terms “scattered” and “all over the place” came from. Bob: Are there some people, however, who seem to be better at using meditation in this way than others? Trish: Meditation is a vehicle for receiving Divine guidance. It is a personal experience and the information asked for doesn’t always come the way we expect it, but it always comes. People that feel it doesn’t work are often expecting it to work for them the way it works for someone else. Your Spirituality is your own unique relationship with Spirit, not someone else’s. It is a skill that needs to be developed and does take some practice. Often, when someone begins meditating his/her answers will come after the meditation. Bob: Can you give us some examples of how answers to our questions can come? Trish: They come in a way that you can relate to. For instance, if you enjoy movies, your answers may come in a movie you catch on TV. If you don’t like movies, your higher self won’t communicate with you that way. The spirit world doesn’t want to make it hard for you. An insight may come while driving, in the shower, through a friend, or in a song on the radio, a headline in the newspaper, or in a book or article you are guided to. It does take practice to develop a relationship with Spirit in any form. Sometimes help can come by being guided to a practitioner. Messages can even come through a newspaper headline that brings some information to awareness for you. If you have a lot of anger and ask to be done with it, the help may come by spirit bringing people and situations to trigger your anger to bring what has been suppressed to the surface so you can address it. Bob: Are we able to communicate with anyone in spirit? Trish: I believe we can. Sometimes we second guess ourselves in meditation or think we are making things up. This is why it can be beneficial to initially speak to a loved one who has crossed over with the assistance of an unbiased professional. Our egos can distort the info we get if we are not a clear channel and don’t know how to develop them or get them to step aside. If you think about it, we are always communicating with spirit. Communicating with people is communicating with spirit embodied. Communicating with spirit embodied is very similar to communicating with spirit without a body. Our egos can distort information we get on either level when we are not a clear channel. That is why everyone, at one time or another, will seek the opinion of an unbiased individual, professional or friend for clarity regarding a relationship issue. The work that I do with people is about helping them to recognize and process the stored emotions and references that charge and distort their life experiences. In this process they become clearer and now have some meditative tools to bring other issues they may have to awareness. Bob: How about spirit guides? Are we able to communicate with our guides as well? Bob: What is the difference between our spirit guides, higher self and wise counsel within? Trish: Since our spirituality is our own unique relationship with spirit, there is more than one way to receive Divine guidance. Our higher self is a part of us that loves us unconditionally and that can see our lives with clarity. It is our connection to our Creator. Spirit guides are often looked upon as separate beings or animals with the same intent. Our ‘wise counsel within’ encompasses all the help that is available to us by going inward, our soul, most optimal future self, angels, deceased loved ones, etc. Some are more comfortable with a spirit guide that appears separate from them and others with a higher self that is a part of them. Both love us unconditionally, honor our free will, can see our lives with clarity, connect us with Divine guidance and will not interfere with our lives unless we ask. We have many different ‘selves’, some with greater tools and some with lesser tools. Our lower selves often operate using manipulative, fear-based tools learned in childhood. Many people are operating mainly unconsciously from their lower selves. These manipulative, controlling parts would be reluctant to surrender their control in order to co-create with spirit because it doesn’t feel safe to them. As we work with our higher selves and move into higher co-creative vibrations it is necessary to comfort these fearful parts, to learn and to process what they didn’t have the maturity, vocabulary or support to process then and to integrate them back into ourselves. We can’t move forward without them, nor would we want to. Bob: What types of questions can we ask of our guides in meditation? Trish: Anything really, we can ask for help, clarity, insight. I don’t believe that they will tell you what the future holds because that would be interfering with your free will. They may give you glimmers, but the choices are yours to make. There is learning on every path. As you raise your vibration, the impossible can become possible and available futures will become more optimal. Bob: What do you mean when you say raise vibration? Trish: Our past comes up in our present when it is ready to be healed. We will attract people and situations that will bring up our old, unfinished stuff. As we process through our unfinished business from the past we become clearer and lighter and our vibration is no longer bogged down by the unresolved issues, but instead we can replace them with love for ourselves, understanding and wisdom. We all have an array of futures available to us that is determined by our vibration. A positive shift in vibration will allow us to access more optimal futures than were previously available. Bob: And how much guidance can our loved ones in spirit offer us? I have heard that if you couldn't expect very good advice from someone while they are alive that you probably shouldn't expect very good advice from them in spirit either. What are your thoughts on this? Trish: I absolutely agree. If you absolutely need guidance from a loved one in spirit that didn’t give good advice when physical, I’d call on their higher self for it. Otherwise I’d look elsewhere. There are gifts for us to receive from all our relationships and it all comes to the surface when someone leaves our lives in some way, either by crossing over or by moving on without us. In receiving these gifts, we give more significance to their lives and to ours. The love will always remain and they can be with us in spirit to let us lean on that love. As we integrate the gifts we receive into the fabric of our being, the people in our lives become part of us and will guide us in that light. Holding onto those who are attempting to move on in some way is unhealthy for everyone involved. When we depend on someone, it will be difficult to let him/her go. If we can thank them for the void they have filled for us and let them know that we will do what we can to seek help in filling it ourselves, we can be grateful for the time we were able to spend together, what we learned about ourselves from the relationship and let them go out of love. Bob: What about difficult relationships that we had? Trish: I think that finishing unfinished business we have with those who have crossed helps them and us to move forward. In realizing that difficult people in our lives have played a role that we requested as part of our life experience, we can forgive them more easily, freeing them and us. We have free will so we can’t decide how a role will be played out, but on a soul level, we make agreements with other souls, prior to incarnating, to challenge us to grow in some way. Sometimes this involves helping someone by contributing to re-creating pain that they chose to work on in this lifetime. There are always gifts for both parties in a relationship. Oftentimes we get stuck here in the forgiveness process because we can’t see the purpose of a relationship. As we can see the purpose, we can see that someone who created pain for us has done his/her job perfectly. This doesn’t mean they were perfect or that we chose abuse. As an example, if we chose to understand love more deeply in this lifetime, we may choose a parent or parents that believe they are unlovable. The parent may manipulate, control and demand love, respect, etc. fearing they won’t get it otherwise. In this process we would be wounded either physically, mentally, emotionally or spiritually. If the parent doesn’t figure this belief out they will hand it down for you to figure out. Growing up in the absence of genuine love will help you to see the importance of it. As an adult you have a choice to accept the unlovable belief and to find your own way of trying to get others to love you or to heal your wounded self, learn from your experience and change your belief to one more suited to attract the higher level of love you now will seek. Those who believe they are unlovable are capable of hurting others and that can take the form of abuse on various levels. This is why it is so important to teach children to love themselves and the only way we can teach them is if we heal ourselves so we can be a living example for them. Bob: But spirit guides are different, correct? Isn't it their job to give us guidance? Trish: I look at my relationship with my ‘wise counsel within’ as I would any relationship that I treat with high regard. I honor, respect and cherish it and address it as more of a partnership. If you had a friend who only called you when they needed something, you may not feel very honored or respected. This is how I look at my relationship with spirit. I will seek its counsel when I need guidance, include it when creating, celebrating and having fun and express my gratitude every day for the many ways it shares with me. Our spirit guides/higher selves/wise counsel are available to help us in many ways. When I need guidance, my higher self is the one I will call on first. You know that your answer comes from spirit when the answers hold the intent for what is for the highest and best for everyone involved. They always know the best way for my wishes to take form. Bob: So meditation seems like a great method for helping our spirit guides to assist us in life, correct? Trish: Yes, and the more we practice the easier it is. I would equate it to computer technology. Meditation is like dial-up. You are consciously going through the ritual to connect. Then there came DSL and broadband where you had the opportunity to always be connected. The more you practice going through the ritual of meditation for the purpose of connecting with Spirit, the more you will understand how to bring that relationship into every aspect of your being, every moment. You will realize that the only time you are not connected is when you choose not to be. Bob: Is there anything people need to do before meditating to protect themselves from contacting unwanted spirits? Is this a risk? Trish: I believe this can be a risk. I think that it is important to prepare for meditation with a loving ritual and to ask for guidance from a spirit that holds the intent for whatever is for your highest and best. My higher self is the guide I call on the most. If something doesn’t feel right, thank a spirit for coming, but send them away. You can ask your higher self or a spirit guide who you trust if this spirit holds whatever is for your highest and best and can ask what the discomfort is about. Bob: What do you say to someone who might be afraid of a spirit taking over their mind or body during meditation? Trish: If you have a fear of attracting unwanted spirits when you go inward, you may want to look at any unwanted spirits you are attracting in your physical life. People are spirit inhabiting a body. It is important to realize that whatever you are attracting is wanted on some level or you wouldn’t be attracting it. If you have trouble setting boundaries on the outside, you may want to be sure you set some clear boundaries on the inside. What you allow is your choice, inside and outside. I could do an entire interview on this topic alone. If your boundaries are blurred, I’d get some help with that first. Bob: It seems like one would really need to believe this is possible in order to do this successfully. How much of an affect do our beliefs have on this process? Trish: Beliefs have a huge effect on this process. On some level you must believe that Spirit communication is a possibility, otherwise your intent will be to merely prove this is bologna. Judging a meditative experience is definitely a place where people get stuck. It can feel like you are making the information up at first. Being guided by an unbiased, gifted professional can assist in suspending doubt, identifying negative ego, accessing negative subconscious beliefs and learning to trust in your experience. 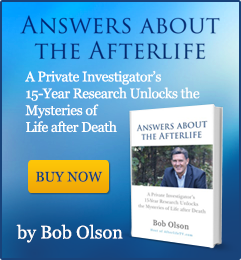 Bob: So using meditation for spirit communication is really an excellent method for people who already know that spirit communication is real, only now they want to be able to do it themselves rather than having to using a medium all the time. Am I right? Trish: Yes. Meditative communication with embodied spirits and with spirits without a body can help us through the grief process and can help us gain a deeper understanding of ourselves, life, death and the purpose of relationships. It can also help us to let go of those we love and to feel good about it. As with anything we are learning, I recommend some guidance initially. I wouldn’t feel comfortable telling someone how to meditate without monitoring their initial experiences. There are a lot of questions that come up for people as they learn to communicate with spirit. There should be some feedback and processing of the experience with a trained professional. You can teach yourself and learn by trial and error and develop misconceptions in the process. I would equate it to learning to play golf. You could watch it on T.V., read books on it and rent videos, but none of these learning tools give feedback. You may develop some bad habits that will need to be unlearned, waste a lot of time and energy being frustrated, and possibly hurt yourself with incorrect form, but it can be done. 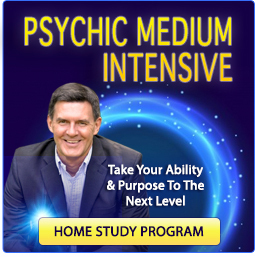 Bob: Now let's go over the proper steps toward a successful meditation for spirit communication. What is the ideal environment for this? Trish: A quiet place, free of distractions is ideal. Perhaps lighting a candle, burning incense or applying essential oils to help you to go deeper into your experience and to set the mood. Bob: What is the ideal physical position for this: lying down, sitting in a chair, sitting on the floor? Trish: A comfortable position, but not so comfortable that you will fall asleep is best. Bob: What is the ideal time of day to do this? Trish: Daybreak and twilight are the between times when the veils between the physical and spiritual worlds are thinnest, but any time that you are alert is fine. Bob: What is the ideal music to listen to, if any? Trish: Music is not necessary, but soothing music can be beneficial and soften minor distractions. Bob: So can you walk us through the steps and explain how this is done? To prepare the body for meditation it is beneficial to go through a relaxation process, then to count down to take you to a deeper state of relaxation. Then to bring yourself to a safe place in nature, a place that is safe for you. Open all your senses to this place. Ask your higher self or spirit guide to join you here. Your higher self can take physical form to help you to relate to it. It won’t look like you or anyone that you know. Greet them as they come toward you. 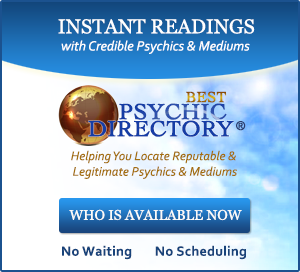 Here you can discuss your life and receive answers to your questions and concerns. Sometimes the answers will come at a later time, but the intention and request for help that is for the highest and best for everyone involved is requested here. This is a great place to begin asking for help and expressing gratitude. When you are done, thank them for coming and helping and come out of meditation. You will want to have a ritual for coming out of meditation such as counting to 5, then opening your eyes and taking a deep breath with a loud exhale to bring you back and ground you. Your higher self or spirit guide can be your guide for any journeying that you do. Bob: I know that you incorporate crystals in your counseling work. Can crystals be beneficial in spirit communication? Trish: Working with crystals is also a great way to receive answers from the spirit world. First to go through a meditative ritual and then to ask a question and to ask that the answer be revealed through the stones you choose. The stones that you are drawn to will reveal the information you are seeking. Seeking assistance from the wise counsel of the Mineral Kingdom eliminates the ego distortions. Sometimes we are mentally blocked and the stones you are drawn to will mirroring your energy and give you the clarity you are seeking. Bob: How do you know when you are in a meditative state? Will your fingers tingle or go numb or anything like that? Trish: No, nothing like that, but after some practice there will be a feeling that will become familiar to you and then you will just know. Bob: And when communicating with a spirit or spirit guide, do most people hear the voice of the person or hear their own voice inside their head? What should people expect? Trish: Again, it is your own unique experience. You may hear a voice or it may be telepathic, an inner knowing, sometimes the answers come in a feeling, often times like an ‘aha,’ where something all of a sudden just makes sense. Bob: If someone hears their own voice, how do they know the words are actually coming from their loved one in spirit? Trish: Your negative ego can trick you, so don’t invite it into your meditation. Our ego was meant to give us information; it became negative when we gave it too much authority, when we gave it authority to interpret the information. Trust in what comes first. You can ask your higher self for confirmation or confide in a pendulum or some other form of kinesiology for confirmation. Bob: Does it help to have someone guiding you with guided imagery or visualization? Is guided visualization at least best for some beginners? Trish: I find guided imagery very beneficial for beginners. It distracts the negative ego enabling you to get the clearest answers. Being guided by someone with experience is very beneficial when learning anything new. At first, my clients have the deepest meditative experiences during their sessions, but they know that with practice they can have these experiences on their own. It gives them something to look forward to. Bob: What do you recommend if little-or-nothing happens the first two or three times someone does this? Will most people improve with practice? Trish: There is no such thing as a bad meditation. When we set an intention to ask for help or connect with someone, help always comes, but not necessarily during the meditation or the way we expect it. Bob: What can get in the way of connecting with someone who has crossed? Trish: Unfinished business will get in the way of any relationship, even with someone who has crossed. Unfinished business can include any unexpressed emotions, guilt, anger, fear, judgment, love, joy, regret etc. If you have set an intention to connect with a loved one and unfinished business is in the way, you may attract people or situations that will trigger your unfinished business so you can address it and then be able to connect with your loved one. This is why someone who you trust that is unbiased can access clearer information. Bob: How long should a meditation last? Trish: I’d recommend 20-45 minutes. It may however be necessary to start with as little as 5 minutes if quieting your mind is a foreign concept. 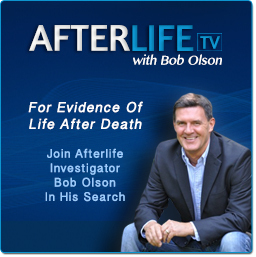 Bob: How might meditation for spirit communication benefit people who are grieving the loss of a loved one? Trish: Processing through the experience of loss is necessary to the spiritual development of those left behind and those crossing over. Keeping yourself busy to avoid your feelings can be detrimental to the freedom of your spirit as well as the freedom of the spirit that has crossed. Meditation can facilitate your grief process and ease the transition. The higher self of a loved one that has moved on can show you what you were getting from them, that it is now time for you to give to yourself. They can show you what a loved one was mirroring for you. It is hard to let go and set someone free if we feel we are left with thoughts, words and actions that we never expressed. Meditation is a wonderful space for us to meet with someone who has moved on in some way to communicate the unexpressed so we can be free and can set them free. If we have a void that they have exposed through their moving on, it will be necessary to our healing process as well as to theirs, for us to take back responsibility and heal our void. In my work, I help people to address, process and release unfinished business they may have in many areas of their lives through meditative techniques designed specifically for them. In regard to relationships, helping someone to see the purpose of the relationship, to release the emotional attachment and to receive the gifts allows them to let the relationship go. At that point, only love and gratitude will remain and both parties will be free to move forward, together or apart, with more of themselves and with more wisdom. In holding someone back so you can be comfortable, both people lose. Bob: Absolutely incredible, Trish. You really know how to articulate these concepts. I should mention to our readers that I have had two really phenomenal experiences with you regarding meditation and crystals. They can read the articles I wrote about those experiences by clicking on these LINKS: mediation article or crystal reading article. I personally recommend your services based on my own experiences, and think that anyone interested in learning how to meditate or utilize meditation for spirit communication should give you a call. If people want to have a session with you, how do they contact you? Trish: They can call me at (978) 646-8995. Bob: You can do these session over the phone too, correct? Trish: Oh yes, I work with people by phone all around the country, even the world. Bob: Thanks so much for this interview Trish. I know I have learned a boatload of information, and I plan to read through this interview a couple times. I’m exceptionally pleased to be able to offer this insight to OfSpirit.com readers. Trish: Thanks, Bob. It's been my pleasure and privilege.